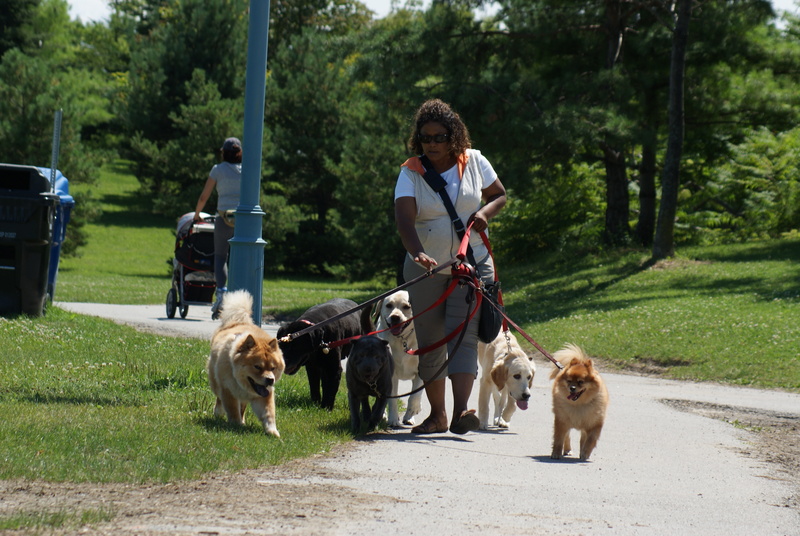 A dog walker in a city park. Look at the list of consonant—consonant combinations and think of more words for each set of two letters. Which letter combinations exist only in a compound or two-part word? Add a vowel between two consonants to make some new words. Look at the consonant—vowel combinations and think of more words for each. Which combinations are rare and which, common? Write the words in the air, first with your right hand and then your left hand. Try writing the words so they look right to someone facing you. Have fun!